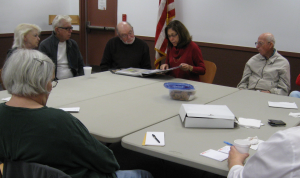 Life in Laurel is a monthly round table discussion of Laurel history co-sponsored by the Laurel Public Library and the Laurel Historical Society. Each discussion begins with a topic related to Laurel and the conversation goes from there. Enjoy learning something new, chatting about local history, and asking questions over light refreshments. Life in Laurel is held monthly – typically the last Thursday of the month – from September through May at Laurel Public Library from 10:30 AM to 12:00 noon.